The Industrial Development Corporation (IDC) is this year expected to invest $4 million in a pineapple processing plant in Mwinilunga district in North – Western Province. IDC Group Chief Executive Officer, Mateyo Kaluba said this follows successful feasibility studies conducted in the area and subsequent approval by the IDC board of directors to invest into the pineapple sector. According to a statement released by IDC public relations manager Namakau Mukelabai, Kaluba said he was confident that the project was a viable business to invest in, having learnt from mistakes made in the past. 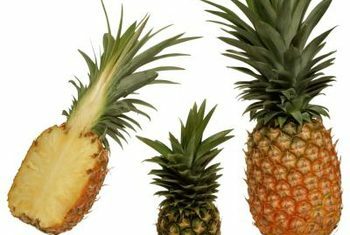 “We are aware that pineapples are seasonal, so the idea is to invest in a multi- fruit processing plant that will add value to other fruits that can grow in the area,” he said. The three metric tonnes per day capacity plant will provide a ready market for the more than 3,000 farmers who will be incorporated in the initial outgrower scheme in Mwinilunga, Lumwana West and Ikelenge districts. The plant will result in the creation of 100 permanent jobs and 8, 000 indirect jobs. Kaluba was speaking when he paid a courtesy call on North – Western Province Permanent Secretary, Mr Ephraim Mateyo in Solwezi on Tuesday. In response Mateyo commended the IDC for taking heed of President Edgar Lungu’s call to take investment to the people. He said that he welcomes the investment plans of the IDC in the province, as the ultimate beneficiaries are the local people through job creation and economic empowerment. Kaluba is in North Western Province to discuss the project with provincial and local government authorities.